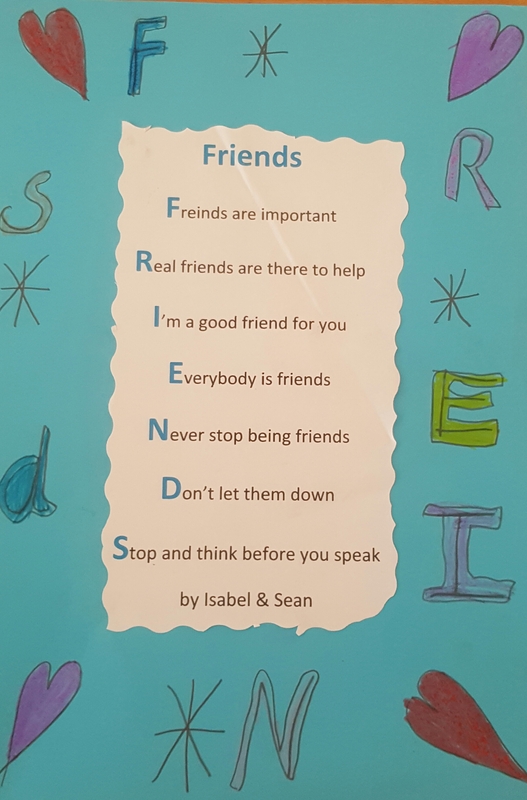 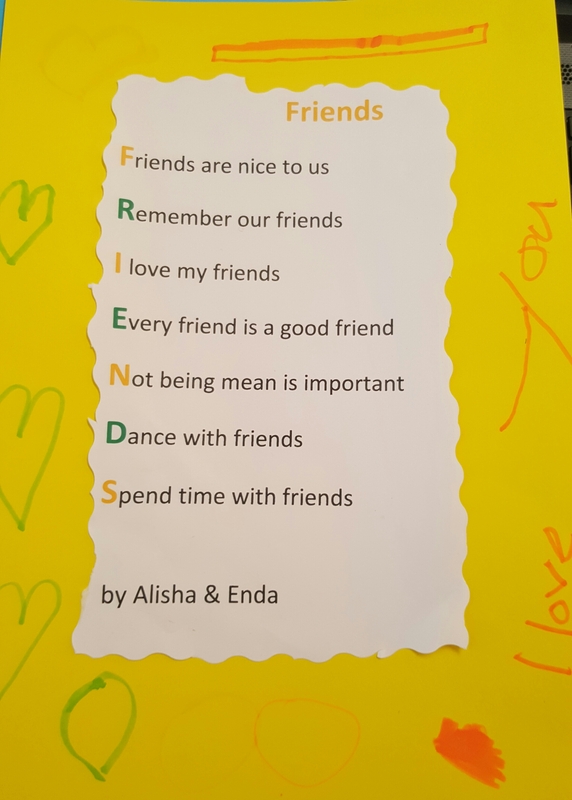 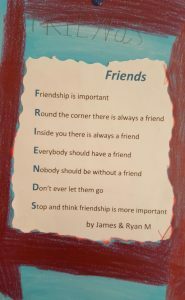 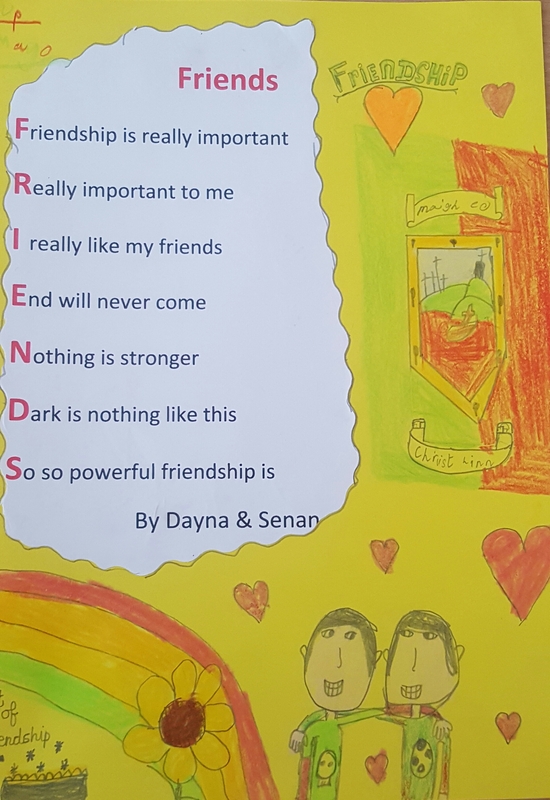 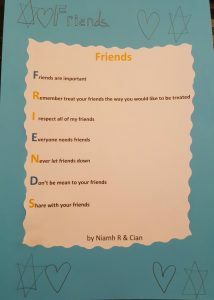 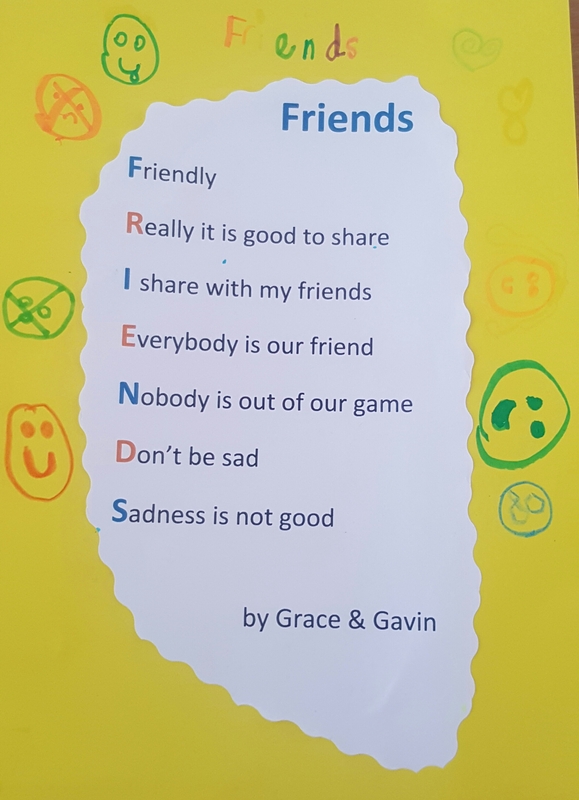 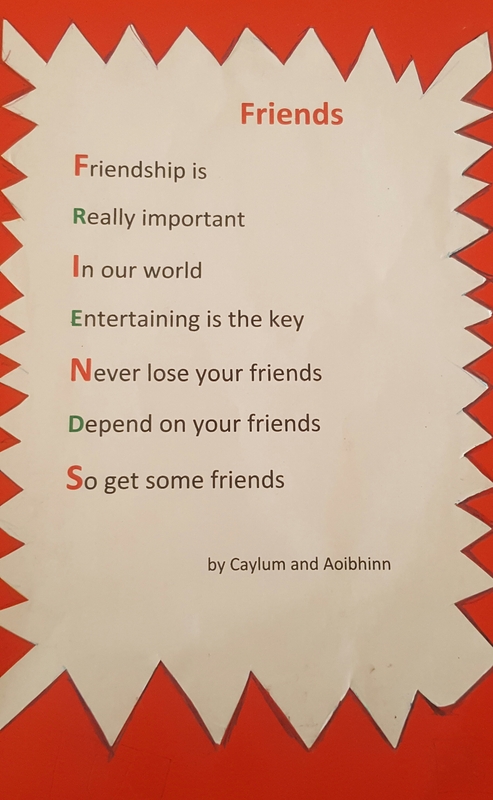 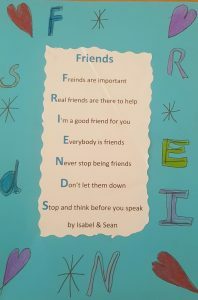 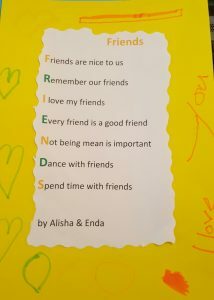 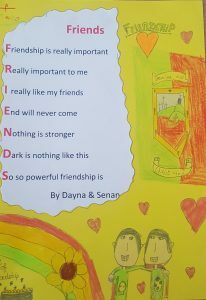 Over the last few weeks the middle room have learned a lot about the importance of friendship. 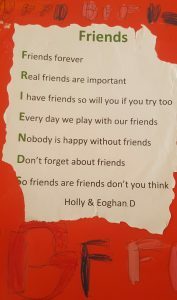 For friendship week we had our secret friend project, where each child picked a name of another child in our class from the hat. 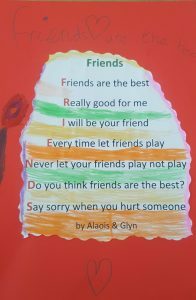 Over that week they were to be extra kind to this person without them realising. 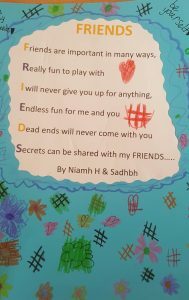 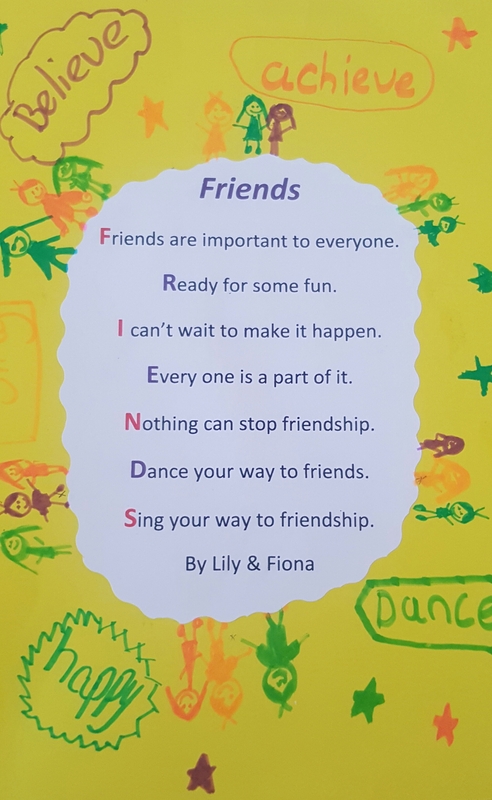 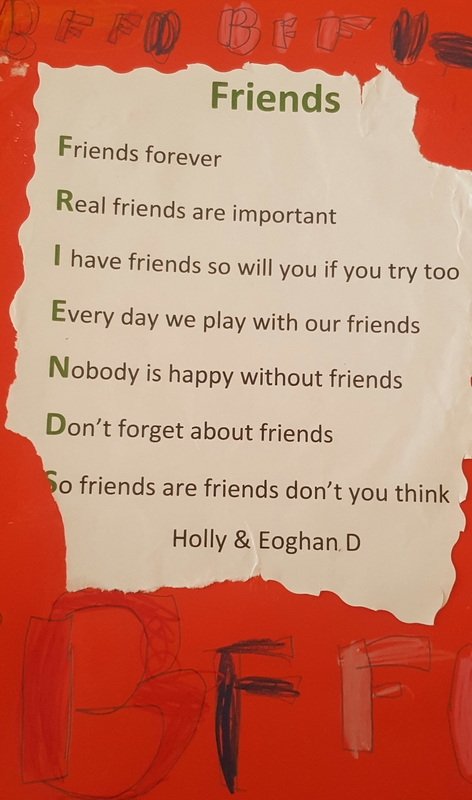 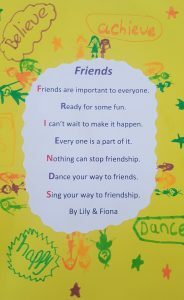 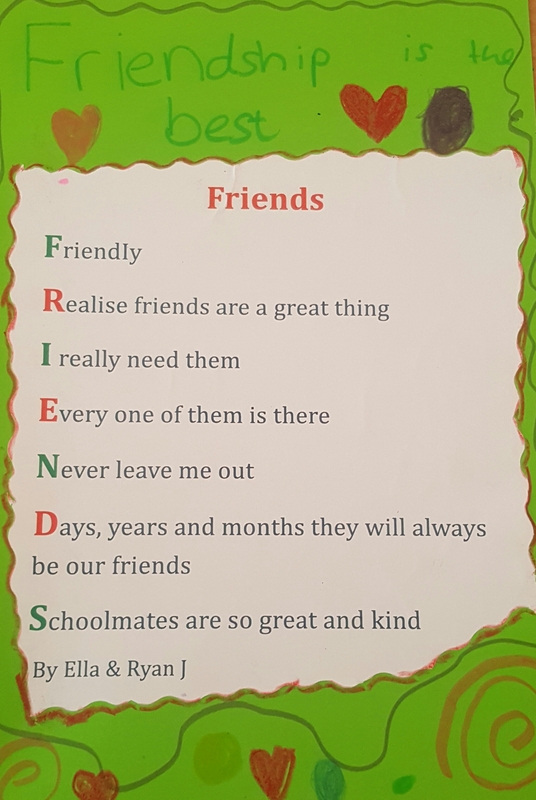 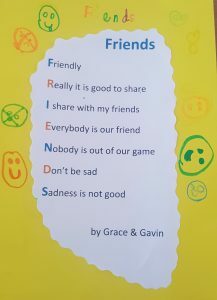 At the end of the week each child shared some lovely facts they may have already known or even learned about their secret friend that week. 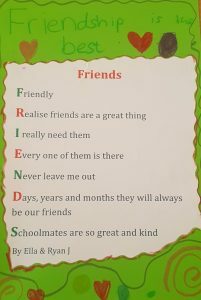 This week we have concentrated a little more on the importance of friendship. 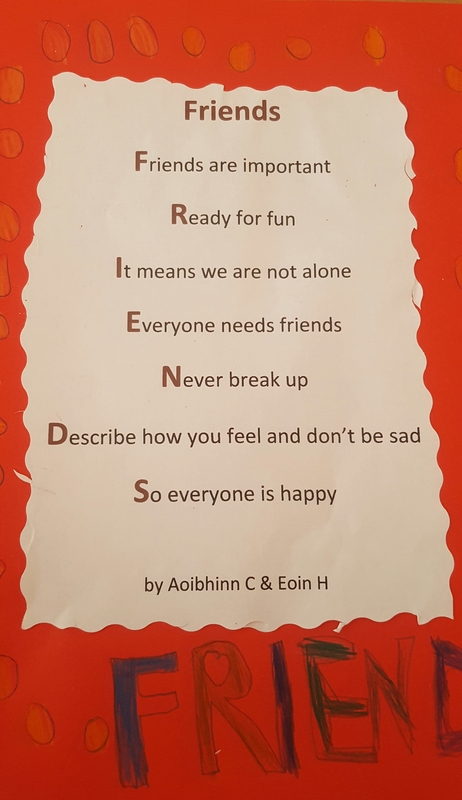 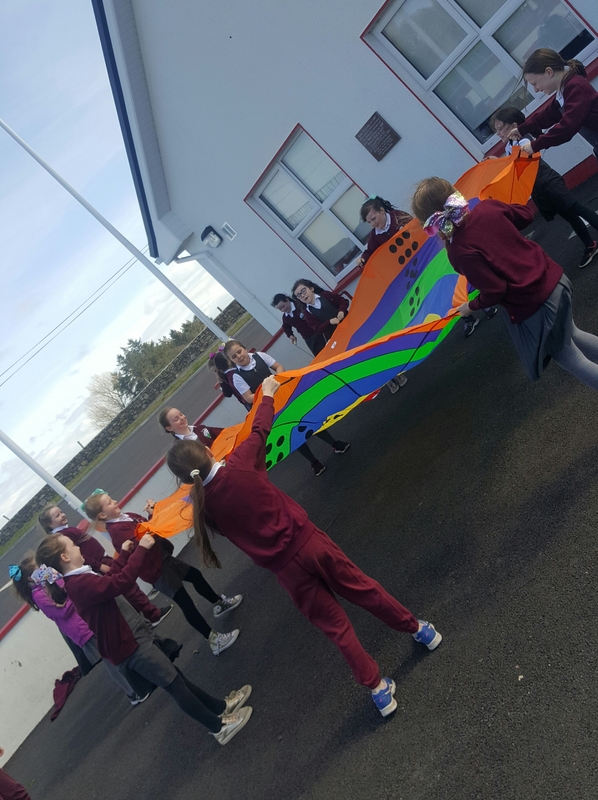 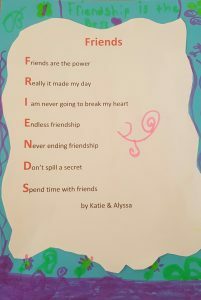 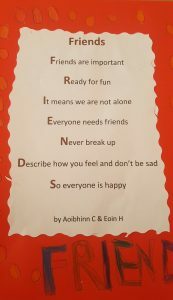 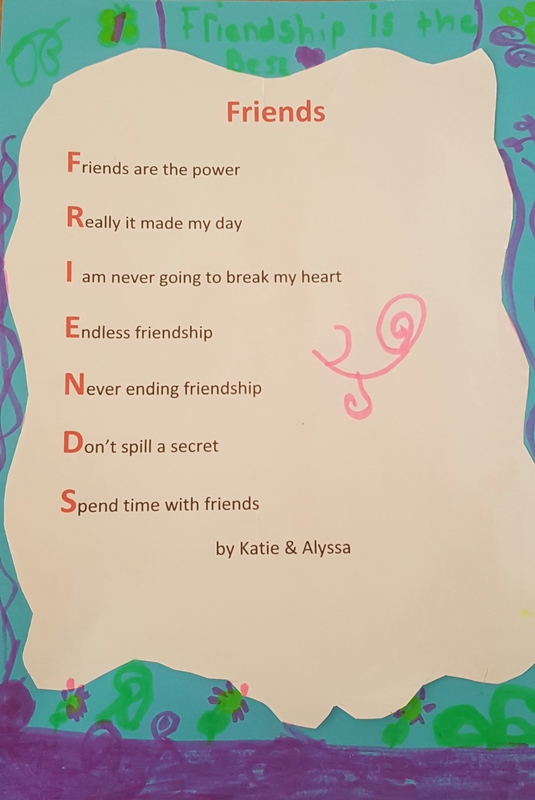 The class were divided into groups to create a poem based on our topic. 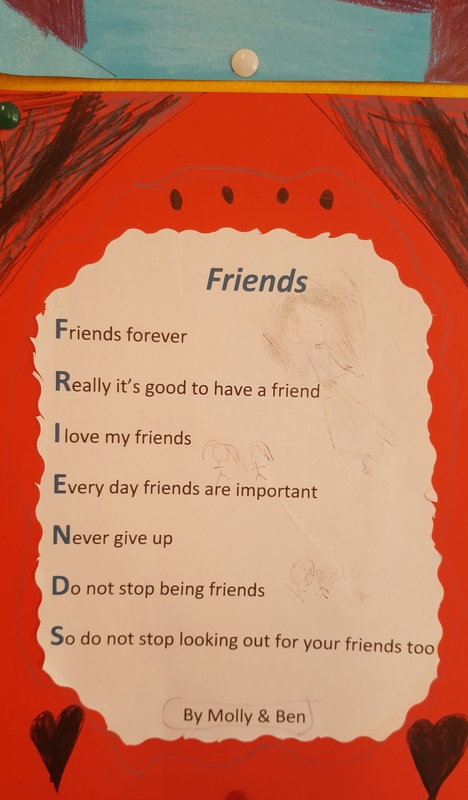 I think the results are fantastic and I’m sure you will all agree. 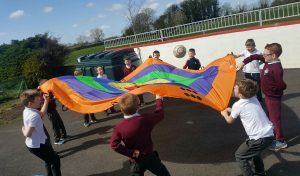 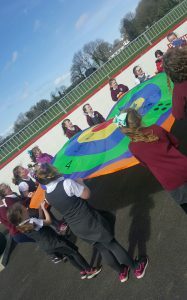 Following all our hard work we went outside to enjoy some of the lovely sunshine today.